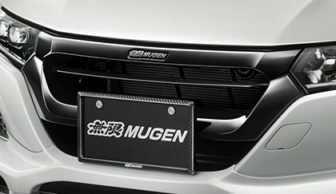 Mugen Makes Honda’s Kei Car More Exciting! 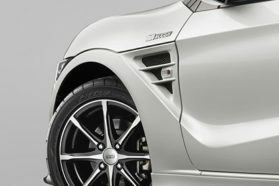 The Kei car Honda S660 is a two-seat sports car which is the successor to the Honda Beat. 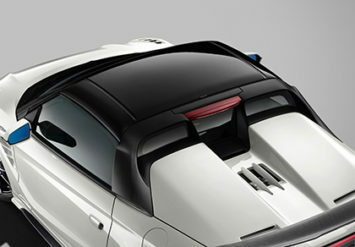 It is a very lightweight, mid-engined, roadster sports car. It looks almost identical to the 1990’s Honda Beat because of kei car Japanese legislation. Motor wise it uses the same three cylinder engine with mechanical improvements. The little fun car with 660cc heart may get more popular in Bangladesh because of the country’s new import duty structure. 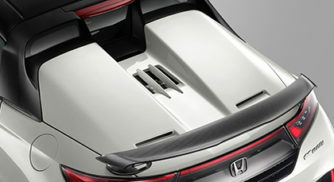 Mugen, Japanese tuner of all things Honda, has crafted a special edition version of Honda’s fun-to-drive S660 roadster with mild cosmetic and chassis revisions. Here it is! Apart from the Aero parts, the car also comes with aluminium MD 8 wheels from Mugen, sports suspension package from Mugen, brake rotors along with sports brake pads and micromesh brake line. To complement the brake line you get Mugen’s high performance brake fluid. For performance tweaks, Mugen offers either stainless, carbon, or titanium finish sports exhaust system, high performance oil, high performance oil filter, engine treatment oil, and oil filler cap. 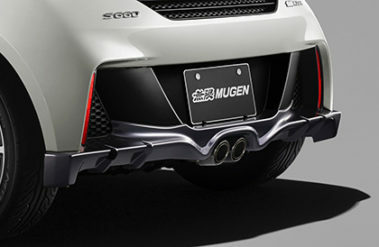 For more information on the full Mugen setup, head on over to this link. Here are some more pictures to leave you satisfied. With the increasing tax rate on higher displacement vehicles, this car is quite the option for someone who is looking to buy a sports car at a relatively low cost and even lower yearly fitness or tax payments. In my opinion if I had the ability to buy a car, this would definitely be a competitive option with enough power for a Kei car, along with the rarity. Next time, I’ll be back again to bring you another aftermarket adversary from another Japanese manufacturer. Till then, stay tuned.